Your waterfront oasis is waiting for you... 5,000+ sq. 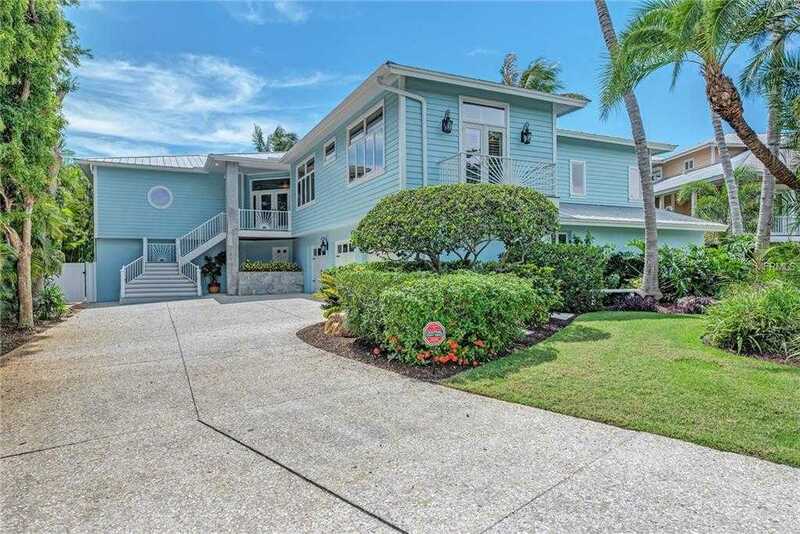 ft. dream home on a 15,000 sq ft waterfront lot, direct access (no bridges) to the Gulf of Mexico! Immaculate 5BR + in-law or nanny quarters on lower level, is spacious, open & boasts incredible views of Roberts Bay. Master suite is in it 8217;s own wing of the house, with French door access to the screened balcony, overlooking the bay, pool & hot tub. 1st floor has 3 BR w/walk-in closets that share 2 full baths. 1BR has private balcony. Dining room overlooks bay, gourmet kitchen w/cabinet space galore, Bosch & Thermador appliances. Lower level barn doors divide a billiards/living room from the fifth bedroom, with built in closets designed by California Closets, a beautiful bathroom with marble, walk-in shower & access from garage & driveway. The lower level also office/den/library which could be converted to 6th BR. Lower level has a wine tasting room, wine refrigerator, beverage refrigerator & ice maker. Home has 6 car garage & waterfront tiki bar. Newly renovated dock is licensed for 2 boats w/10,000 lb boat lift. If you 8217;re a boat enthusiast, a fishing angler or you just enjoy living on the water, this estate is a must see. As an added bonus, The Venice Yacht Club and recreational boating area are directly across the bay from this gorgeous oasis. For additional pet restrictions, review the Rules and Regulations section on pets in the HOA handbook. Please, send me more information on this property: MLS# N6103445 – $2,975,000 – 745 Eagle Point Dr, Venice, FL 34285.